The Junior Jaguars recent historic performance at the Soualiga Football Tournament which was held in St. Martin must assuage the fears of major stakeholders such as the corporate community and the Government. The Guyana Junior Jaguars who won the SOUALIGA U-15 tournament last weekend. Those fears which had arisen from years of unwarranted attacks by forces aimed at destabilising the football fraternity are slowly, but surely being removed by the current administration led by President Wayne Forde. The Forde-led administration has successfully been able to remain focused on the sport’s holistic development and not be swayed by the diversionary tactics of a few whose attempts to incessantly taint the image of the sport are losing credibility. Instead, it is their integrity and honestly that are in question due to the current administration’s success in repeatedly highlighting their reckless charges of administrative autocracy. The inclusive approach by the current administration which affords the General Council and other related arms of the entity to function independently and work for the benefit of the game and its participants is a dispensation that was estranged to the persecutors of the sport. The task of managing this sport has time and again proven to be onerous and unappreciated, but Forde and his team have dug in their heels and seem hell bent on working assiduously to reverse the fortunes and image of the sport here. 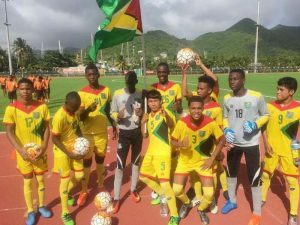 While the success of the U-15 team is a significant achievement, the process charted by the Guyana Football Federation (GFF) and its stated commitment to stay the course, must be recognised as well. Players, officials, coaches and administrators are being exposed to higher levels of training in an effort to improve overall efficiency, accountability and transparency. The general feedback is that many are admiring the GFF’s focus and have pledged their complete support for the entity. Football has been the subject of litigation after litigation for years which ultimately affected greater support from stakeholders, but under Forde’s reign there has been percentage increases in Government and corporate assistance which is always a good sign, especially after several explosive public quarrels that threatened Guyana’s continuation in international football. The sport has taken a different path, one that FIFA, CONCACAF and the CFU have all embraced, but instead of offering unconditional support for the current administration paradigm shift from partisanship to inclusivity, there are still those who believe that it is either their way or no way. 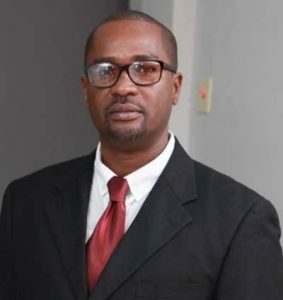 Forde has explicitly stated that the GFF will continue to be guided by the three above mentioned governing bodies, while the forward thrust for development will remain its priority.